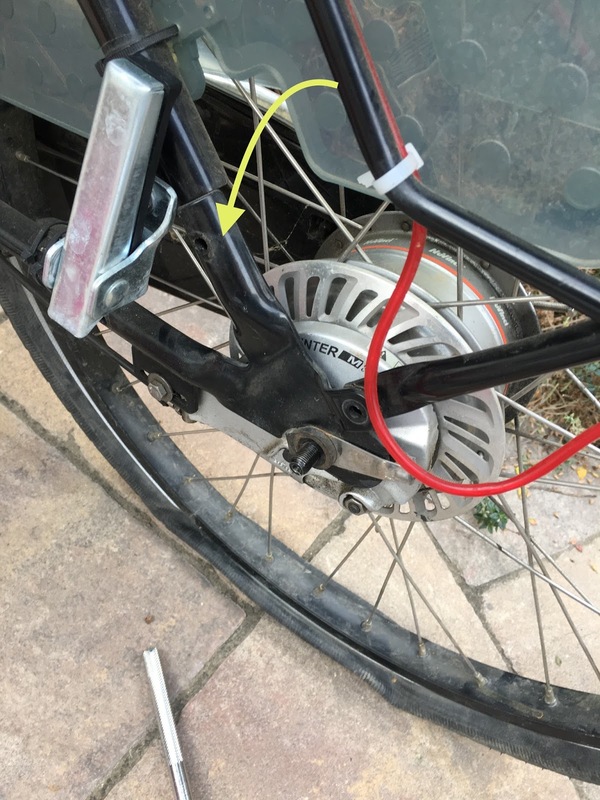 If you’re me, you’ve been secretly worried that you’ll get a flat tire on your cargo bike. I’ve taken the kr8 1000+ miles with no problems until today. It’s right to be ready since flats are inevitable but worrying is overrated. I was worried it will happen when I was out without my tools. It did indeed happen that way. No pump, no patch kit, nada. 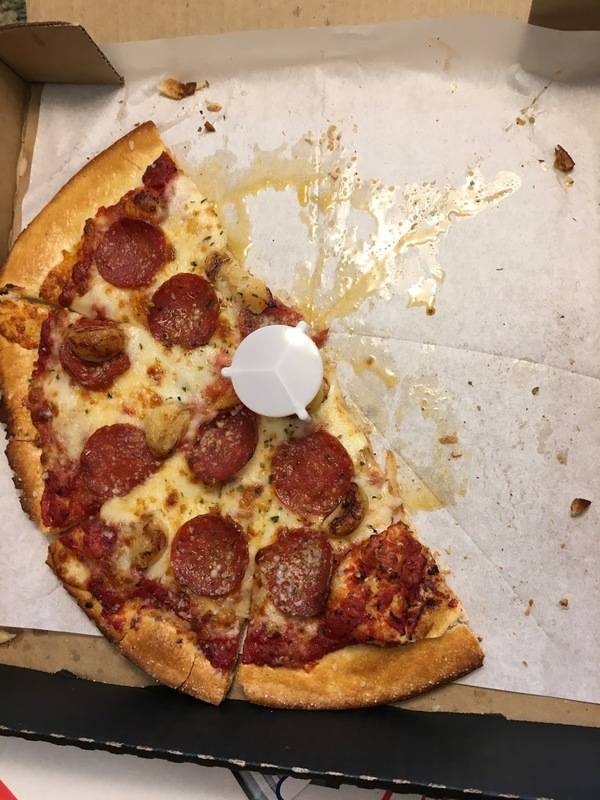 Particularly with the kids, I was worried it would happen in a place where I don’t really want to stop. It indeed happen at the busy and semi-sketchy part of our route. Not the sketchiest, and at least there was a sidewalk. It didn’t happen at night and I did have a load of groceries for the kids to devour while I waited for my wife to pick us up with tools. That being said, I was left with the fundamental question: what do you do with a cargo bike too big to put in the car? The answer, which I didn’t know I knew until today is: you improvise a fix in the field and then take care of it. 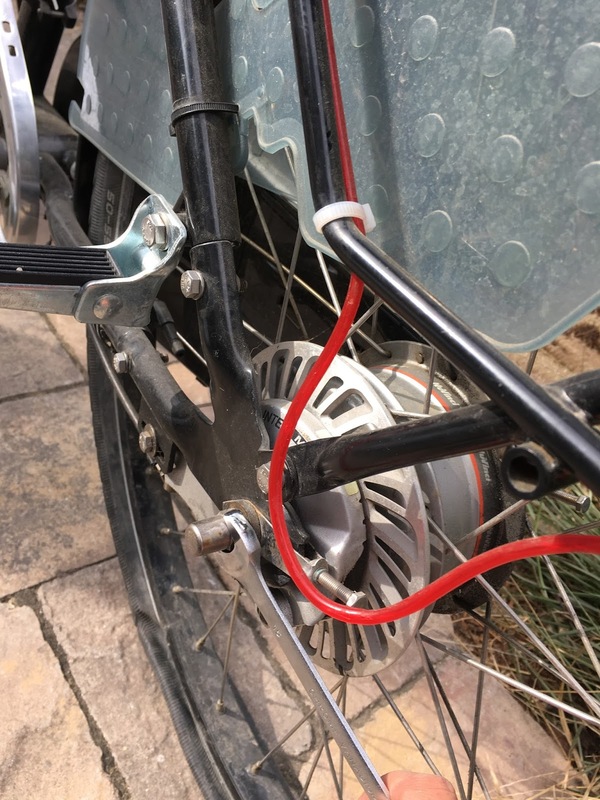 Improvised fix: reducing total weight and topping off the tire every 2 minutes to limp to the bike shop. 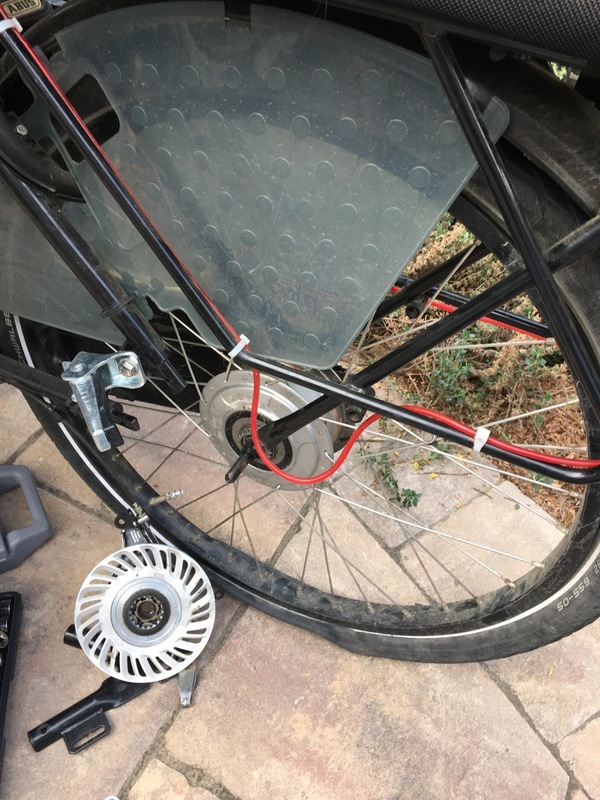 Taking care of it: The local bike shop is super-friendly and nice but they didn’t have a great plan for working on the kr8. Unsurprisingly it was “too big” for their stands and their plan started with taking the wheel off and billing hourly. I certainly didn’t expect to pay the going rate for a standard tube change, but was just not optimstic. 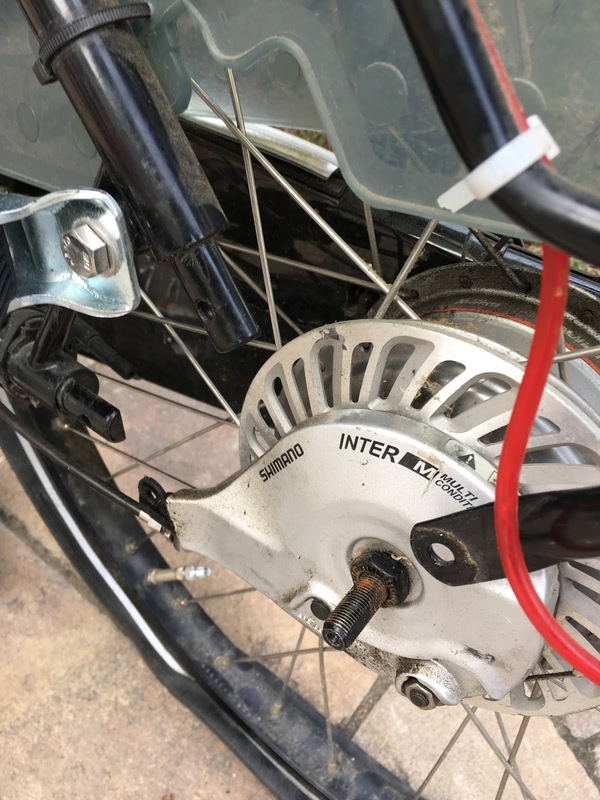 End result: my busted bike and I go home to invoke the magic of the Workcycles Escape Hatch in much less time and at no added cost. 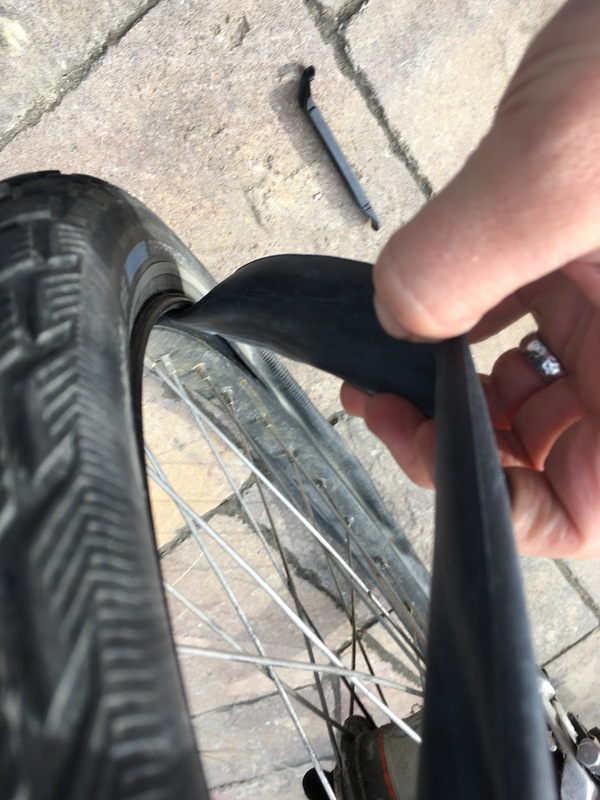 First, of course, I found where the puncture hit, felt the tire to ensure it was cleared out, and then tried to patch the tube without taking anything apart. 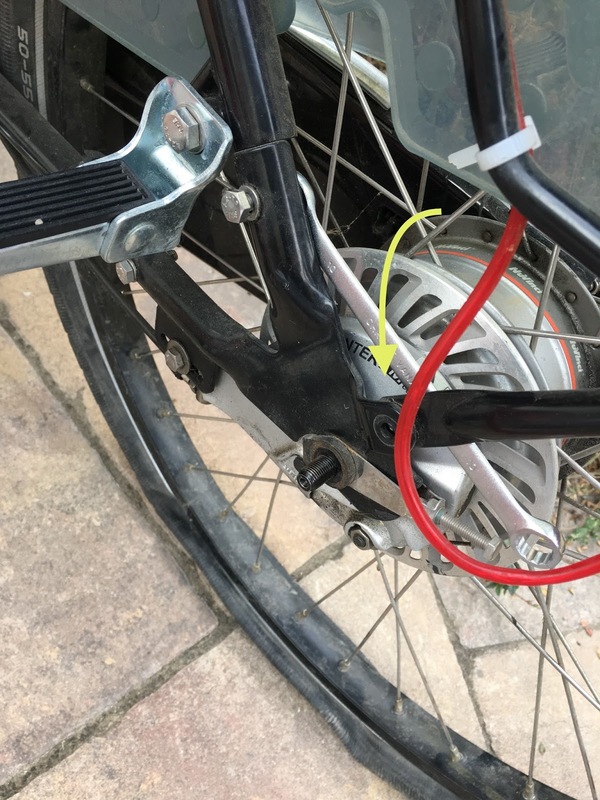 And then I moved on to replace the tube today because (1) I wanted to overcome my rear-wheel-fear and (2) I wanted to proudly march back into the bike shop and point out that you didn’t need to take of the rear wheel. I did, and even brought the old tube as some sort of trophy. 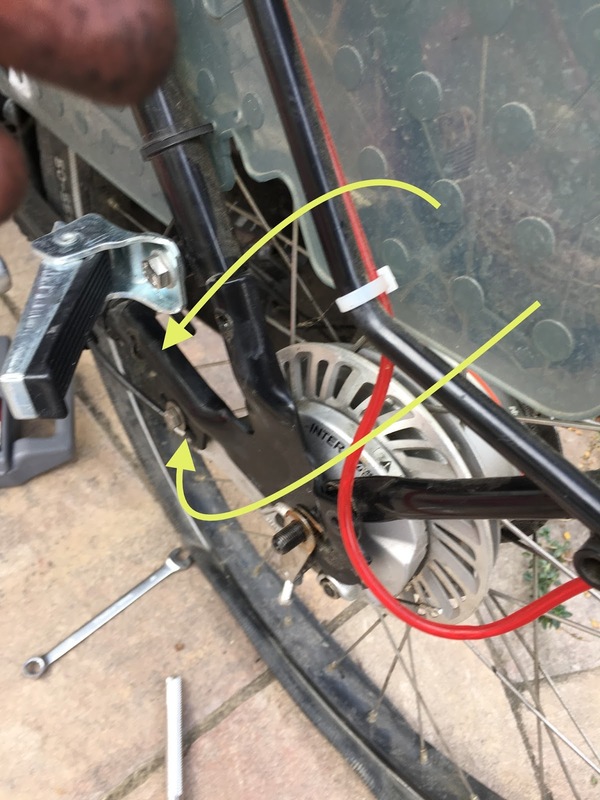 Here’s how I did it below; I’m not a professional bike mechanic, so use your own judgment and care in fixing your bike. Then I removed the 3 bolts holding on the escape hatch (and the torque arm for the roller brake) using 10mm socket and wrench on rear. 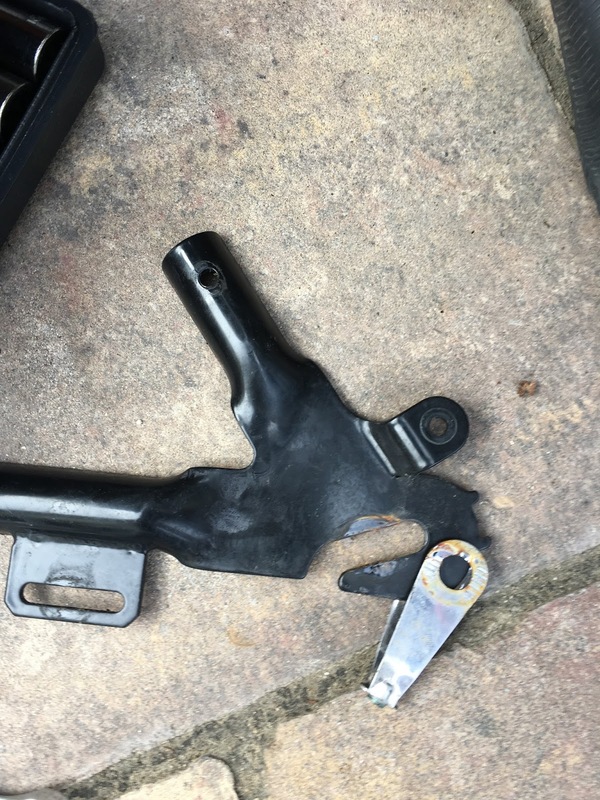 I don’t know if it’s theoretically possible to pull off the brake and hatch arm together but it wasn’t happening for me until I detached the torque arm bolt. Escaping tube caught on camera! New tube went in so easy that I didn’t stop to take pictures. 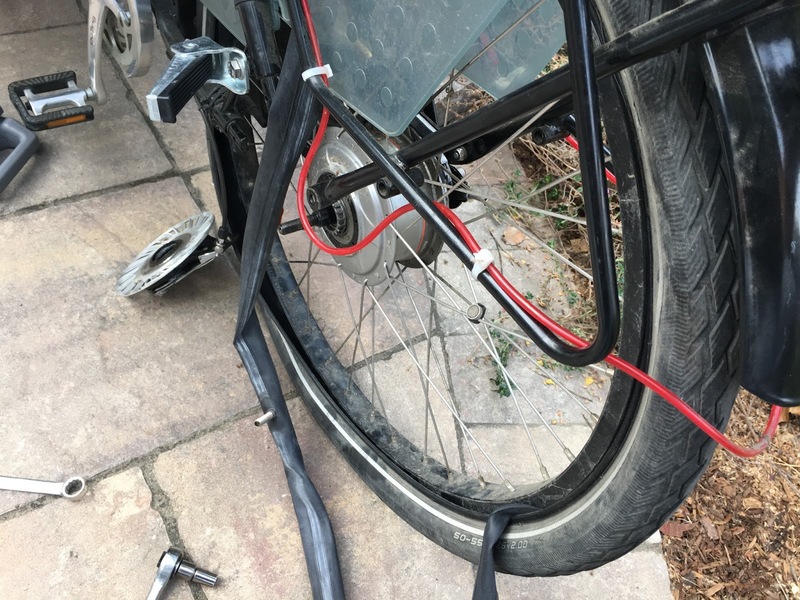 Carefully placed it in tube and gave it a couple rounds of super-low pressure inflation, made sure the tire was seated in the rim without any bulges, and then put everything back on in reverse order. As of tonight (and after a test ride) everything seems fine. Stay tuned for updates, though hopefully no flats for another 1000 miles.